Just Jingle: A Real Splash! 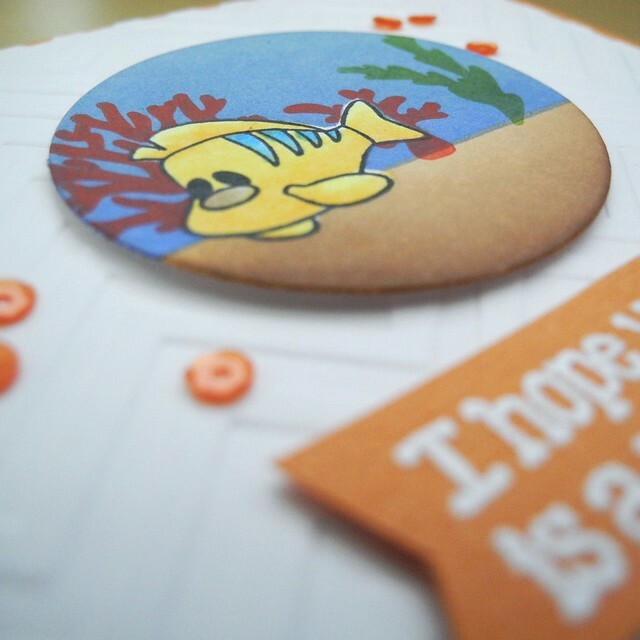 Simon Says Stamp has added a new company to their shelves and I think you are going to LOVE these stamps! Pink & Main offers a seriously fun variety including graphic patterns, cute stuff, and basically just FUN stamps! 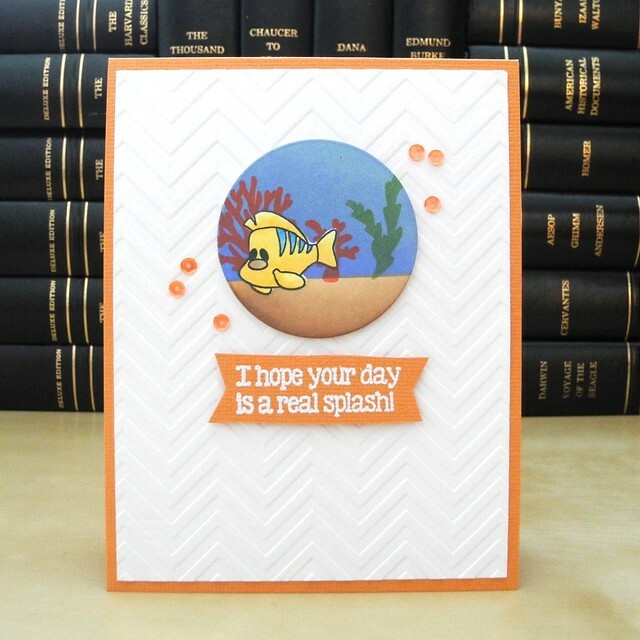 I used the absolutely adorable Mermaids stamp set to create this fun little card. I couldn't help making the fish yellow and blue. I just. couldn't. help. it. I masked the fish and then did a simple line mask to do ink blending to create the water and the sand. I used a variety of distress inks to get that look. I then used pigment inks to stamp the coral and the plants. I love how pigment inks sit on top of dye inks so you can create layered scenes like this! I then used Copics to color the fish. Thanks to Simon Says Stamp for sending these super cute stamps my way to try out! I love them! You will be seeing more from them around here! I promise! You can find my complete supply list below. All links are affiliate links and your support is very much appreciated! So cute and beautiful coloring!